For self employed drivers and transport companies time is money. 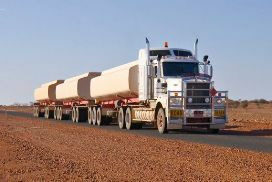 Profitability depends on being able to keep trucks rolling, meeting deadlines and having staff available to drive when you need. Sickness in this type of industry can cripple businesses. When drivers sit down for a long haul they want to feel comfortable, at ease and in control of the truck. This is why some companies spend thousands of dollars on custom seats. There is another answer, the AIRHAWK Truck Seating System. The system uses superior Dry Floatation Technology to ease back and bottom strain by redistributing the driver’s weight - reducing pressure and improving circulation. Each cushion in the AIRHAWK Truck Seating System can be customised to suit the driver’s weight, giving them a seat that conforms exactly to their individual body shape. In warm conditions the cushion also helps prevent perspiration by allowing airflow under the driver’s bottom. Redistributes weight away from pressure points to promote improved blood flow, relieve pain and discomfort. 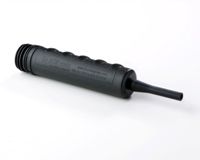 Absorbs shock and vibration, reducing jarring and fatigue. Provides a medium between you and the seat allowing you to adopt a comfortable posture rather than conforming to the shape of the seat. 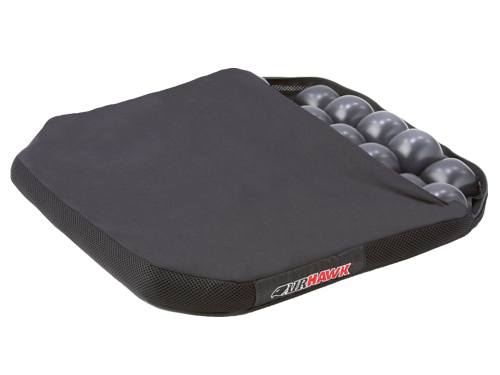 AIRHAWK Truck Cushions are a strong light weight cushion with a single air chamber providing a stable seating environment which can absorb shock and vibration. Cleverly designed to fit most trucks, dozers, scrapers, loaders, larger cranes and 4WDs. Available with a strap to firmly secure the cushion to the seat of your vehicle or choose a truck cushion without a strap for greater flexibility. FOR INSTRUCTIONS on How To Adjust Your AIRHAWK Pro Truck Seat Cushion, Click here.